Keep track of changes in blood pressure so you can talk to your doctor and take action if needed. YES! SEND ME THE CHART! 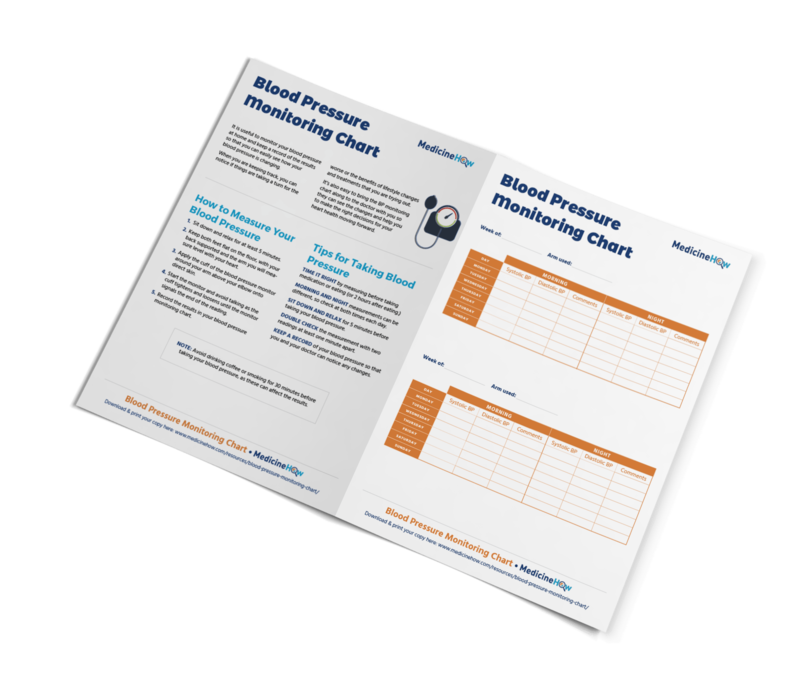 By opting to receive the blood pressure monitoring chart you are consenting to being contacted by MedicineHow and receiving related information via email. We will not share your personal data with others and you can easily opt out at any time.